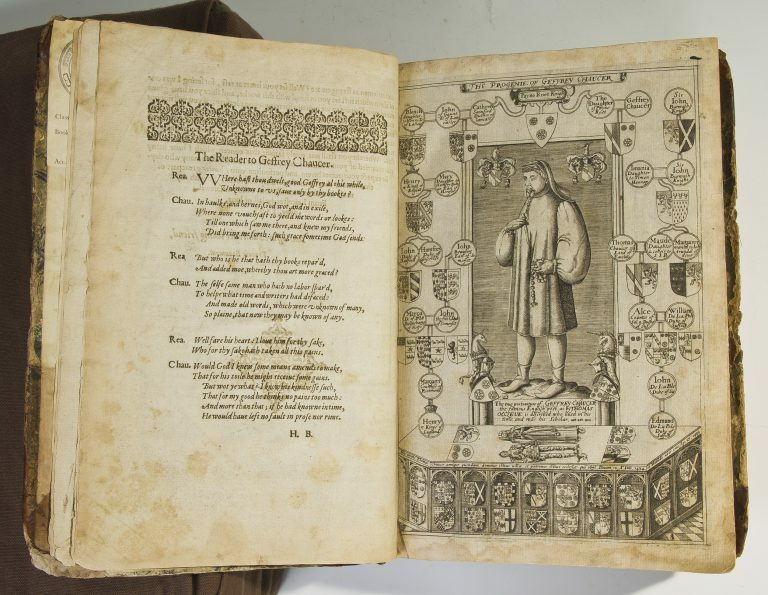 Chaucer was known to Shakespeare and his contemporaries as the father of English poetry. Although he lived and wrote in the fourteenth-century, he was well-known to Renaissance readers thanks to a series of scholarly editions of his works. 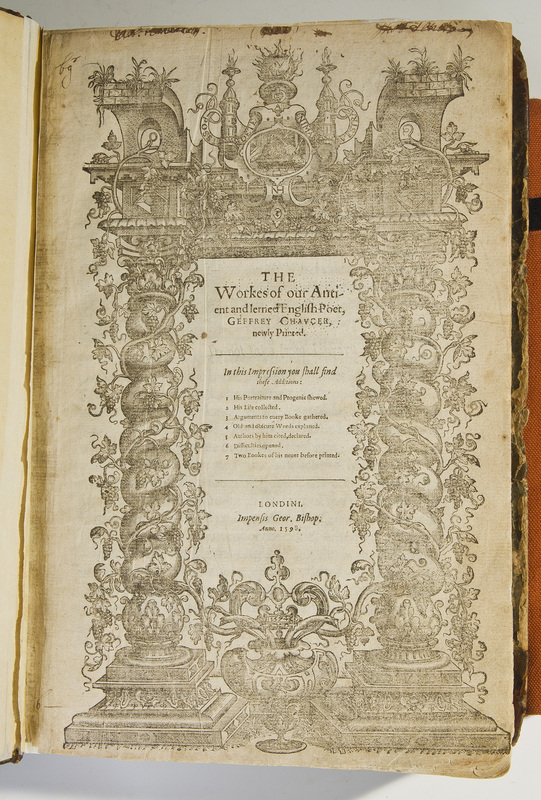 Thomas Speght produced an important edition in 1598 in which he provided a biography of the poet and a table of “hard words” that helped readers understand Chaucer’s Middle English language. One owner of this copy read it in a scholarly manner, inserting corrections in the text. Another early owner, however, copied out the first two stanzas of the prefatory poem “The Reader to Geffrey Chaucer.” This poem reanimates Chaucer in order to authorize Speght’s editorial work, and so it is an important part of this book. 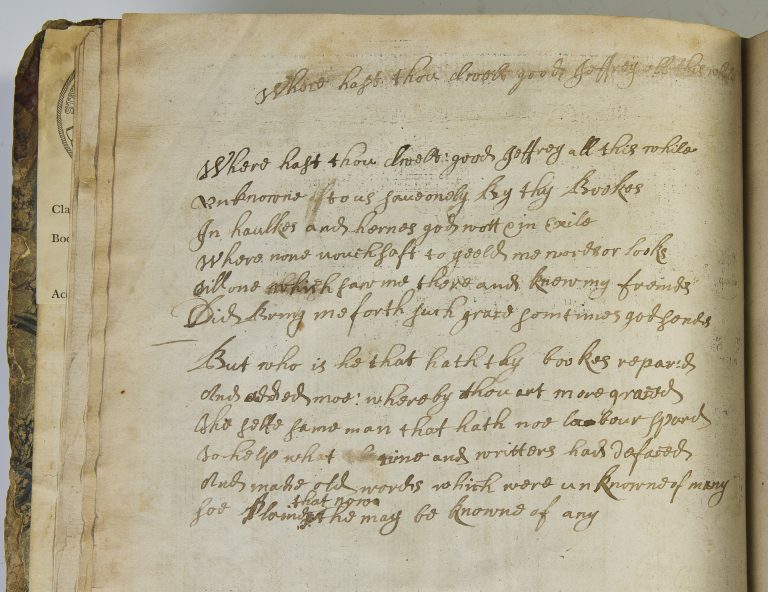 However, it is likely that the copyist was simply using a blank page to practice handwriting.